Tony Roelich, Dave Clasby, Les Sims (Chair), Martin Aldred, Martin Quarton, Ian Alexander, Nigel Aspdin, Ian Care. Vijaya Ramisetti, John Palmer. Lucy Care, Ian Dent, Jean Baird. Minutes of the November meeting were read and agreed, except that Martin Quarton was not at the October meeting. DW was to contact the British Motorcycle Federation as a balance to MAG. Agenda is being sent out by the Chair of the next meeting. 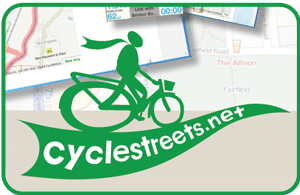 Cycle Liaison Meeting – TR to send an email asking for meeting. Meeting Matt Holmes on Weds Dec 14th at 4:30pm Saxon House. Where do the council see the future for cycling? Sports facilities tie into other developments. LSTF, in what ways are you supporting? Cycle Audit for all new schemes. Vision for the city centre. What are DCC plans for National Bike Week. Cycle Forum – Matt Holmes invited to Cycle Forum DC to do that. January 17th next meeting. On going. City Centre car parking – keep an eye on it. Hannah Fox we are interested in principle in taking up offer to run event at Silk Mill, but project developing is to have cycle powered end to Olympics event with 25 bikes on Sept 9th 2012. Station Notice Board: MA to keep it updated looking for inspiration. Brunswick: Ian written to brewery and spoken to Landlord, 2 new car parking spaces and looking to have cycle parking installed. On going. Managing Director of EMT said that waiting for DCC to come up with proposals. Concern over useability of double deck racks. Normanton Road cycle lane has been removed. Bramble Street could be an example of opportunity to use the new ‘no entry except cycles’ signage, which has just been published. Discussion about various roads where contraflows could be used. Generally in favour of contra flow on one way streets, concern expressed over infrastructure. University and Council appear to be waiting for each other. DC continuing to chase the issue. LS suggested it would be good to invite Simon Geller, Secretary to Cycle Nation, to Derby, and maybe make it an open meeting. LS to investigate possibilities. The membership secretary has resigned which the committee accepted. Cathy has been co-opted on to the committee and has agreed to become the new membership secretary. Nigel has agreed to become Treasurer after next AGM. Vijay happy to be co-opted on to committee. TR to make comments to DCC about considering the needs of cyclists. TR brought up the issue of possible cycle route from Victory Road to UNR. LSTF meeting last Tues, DCC organised meeting for local businesses. VR has started work on next newsletter. Draft copy of newsletter shown to meeting which was excellent. We encourage members to become active with their local neighbourhood boards and also to consider standing or supporting candidates who advocate cycling. 3000 hits in a month. MA looks at it every day!! Agenda – Planning issues and localism; engaging in local democracy. Venue booked, 11Feb. Will be a ride. Soundbites being asked to provide food. Cost will be only to cover expenses. DC and LC to meet again to think more about the agenda and content. LS to think about the ride. Varsity Grange estate, 106 money to create a cycle route and marketing of the route. Membership materials something has been returned to VR. March mail shot, this needs to be discussed at next meeting. Date of next meeting: 3rd January 2012. The Brunswick. Feb 7th Tony Roelich, Chair. Les is liaising with Simon G over attendance.